Formerly Rev. Anita Odegwa Oyakhilome, she was a pioneer member of the Christ Embassy Church, where she was the Vice President of the Believer's LoveWorld Inc., and the Pastor in charge of the church's United Kingdom branches, until the crisis between her and her former husband, Chris Oyakhilome, which eventually led to their divorce in 2016. 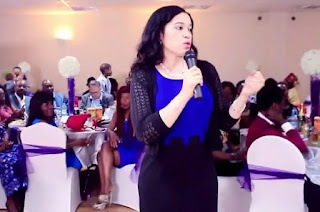 Anita was among those who started the ministry which used to be a campus fellowship, known as Believer’s Love World Fellowship, BLW (now Believers’ LoveWorld Inc.) at Ambrose Alli University, Ekpoma in Edo State. Anita was the Director of Christ Embassy International Office, handling the church in the United Kingdom and also oversees other church branches there and beyond. She was a member of the Central Executive Council of the church; the Central Executive Council is the governing body-of the ministry. She is also a registered trustee of BLW in the UK and Nigeria. She met Pastor Chris Oyakhilome, at the University. She became a born-again Christian at the BLW Campus Fellowship, where Chris was still a pastor in the late 1980s. Pastor Anita got married to Pastor Chris Oyakilome in 1991, 23 years ago in Lagos and their union is blessed with two daughters, Sharon and Charlyn. Pastor Anita is a gifted writer, apart from the ministry’s daily devotional, Rhapsody of Realities, which is now in over 250 languages all over the world, Anita has written many Christian books with her husband like: Don’t Pack Your Bags Yet, Confession For living, a Handbook For Successful Living, Unending Springs of Joy, and many more. Anita is of dual citizenship, born of a Nigerian father, Mr. John U. Ebhodaghe, OFR, former MD/CEO of Nigerian Deposit Insurance Corporation (NDIC), and a Swiss mother. She is the first daughter in a family of five. 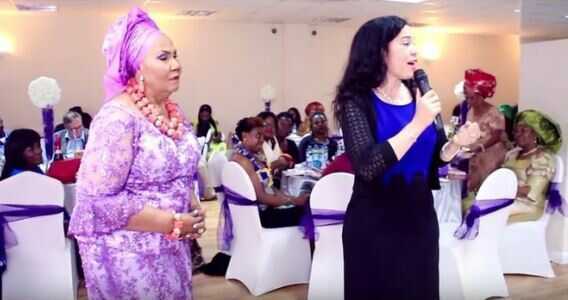 Anita Oyakhilome has an impeccable dress sense. She takes her sense of dressing with every seriousness, she has severally been adjudged by many as one of the best dressed Nigerian women. Anita Oyakhilome is said to visit Nigeria where her husband heads the church's headquarters only twice in a year. Recently the marriage of the amiable pastor to her pastor husband, Chris Oyakhilome suffered some setbacks and the couple have resorted to a court in London to sort out as Pastor Anita seek divorce from the twenty-three year marriage to her husband. Before the marital crisis, Aita lives in the UK with their two kids, her husband lives in Nigeria and South Africa. She only visits Nigeria during BLW’s annual PPCF which holds in the Lagos Mother church and December 7, her estranged husband’s birthday. 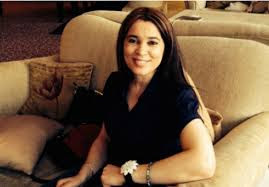 Anita Oyakhilome is a graduate of English Language from Ambrose Alli University, formerly Edo State University, Ekpoma. News of the divorce between Pastor Chris and Anita Oyakhilome surfaced on August 29 2014. Rev. Anita had filed a divorce suit at a UK court to end their 23-year-old marriage. She said through her lawyers that she is done with Pastor Chris and there’s no hope of reconciliation. Pastor Chris who finally spoke on the divorce suit, on the evening of Sunday, September 7 2014, during the church's monthly global communion service, said it is not biblical to divorce, but if his wife insists on it, he could consider it as an option. Meanwhile, Pastor Anita has started her own online church; www.pastoranita.org where she bares heart to millions of people on why her marriage crashed and giving hope to those going through the agony she went through in her collapsed marriage. It was after the dissolution of her marriage, she had opted to revert back to her maiden name Ebhodaghe. Pastor Anita is the eldest daughter of Mr. John U. Ebhodaghe, OFR, former MD/CEO of Nigerian Deposit Insurance Corporation (NDIC), and a Swiss mother. She has a dual citizenship and is reported to be very close to her Swiss mother who stays in London with her.